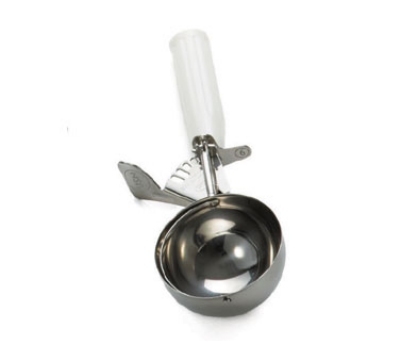 Tired of ice cream sticking in your scoop and slowing down the line in your shop? This Thumb Style Commercial Scoop releases ice cream easily. The sturdy stainless steel construction means that this ice cream scoop will last and last. The white handle matches any decor that you may have. Offer a consistent 4 2/3 ounce serving of everyone's favorite frozen dessert. 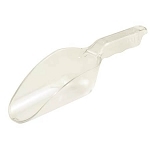 Order this ice cream dipper today and start serving the big scoops!